One, and certainly not the only one, method of engaging and motivating your team, while also helping them and you make more money is through contests. People have been competing for thousands of years (the first Olympic Games took place in 764 BC). Competition brings out the competitive spirit in people. It provides one with a sense of accomplishment and can improve your revenue and profit margin. It can also help put more money into the pockets of your servers and cashiers which helps to minimize the # 1 reason people leave their job… they need more money. Server / Cashier competitions aren’t the cure all, but I believe you’ll find they are highly effective in motivating your staff. Competition is one way to create that spark your teams need – heck, it might just ignite a full blown fire. When looking to create a successful revenue-boosting competition it’s not a one size fits all. Different restaurant operations require different approaches but the fundamentals are pretty much the same. You’ll want to begin by identifying the specific item(s) to be included in the competition. NOTE: I’d recommend that you select ones that happen to have the best margins and not your best selling items. These will sell anyway. In some cases you might want to have multiple items in the competition with different points assigned to each based on their margin contribution or ability to impact customer service. A bottle of wine for example may carry 10 pts., while an appetizer only 3pts and for a low number of voids 5pts. The same can be accomplished when upselling Combo meals versus a package of cookies. In either case, having the appropriate restaurant reporting solution will not only help you monitor and measure the sales activity of these items down to the server / cashier level; it should also be capable of easily and quickly communicating the results (daily at a minimum, end of shift better, near real-time, best) to all participants. Effective communications with your teams both before and during the competition will further foster their primal competitive spirit that, in turn, will drive sales and revenues even higher. Something else to keep in mind when measuring sales performance – hours worked. To level the playing field and truly measure performance it’s important to use sales per labor hour as the metric for performance monitoring. Running a weekly or month long competition where you divide their sales by the number of hours they worked will define who your top performers are. Cash is KING - and is another way to increase pay that is based on performance where low pay is noted as being one of the top reasons for employee turnover, thus increasing revenues and restaurant profit margin. For table service operations, you can also consider allowing the winner to choose a particular section they’d like to serve. If you have a company / corporate sponsored event or convention, invite the team member(s) with the best record to attend and be recognized. An added bonus could be to include their spouse or significant other with all expenses paid. Select a handful of high-end electronic items and allow the winners to choose the one he / she would like. Depending on the length of the contest or size of the revenue goal, you may elect to provide a choice between a handful of all-expenses paid vacations. Measure for the lowest cumulative total of voids, discounts, overrings, etc., as these can be leading indicators for creating customer dissatisfaction (and theft), helping you improve customer service. 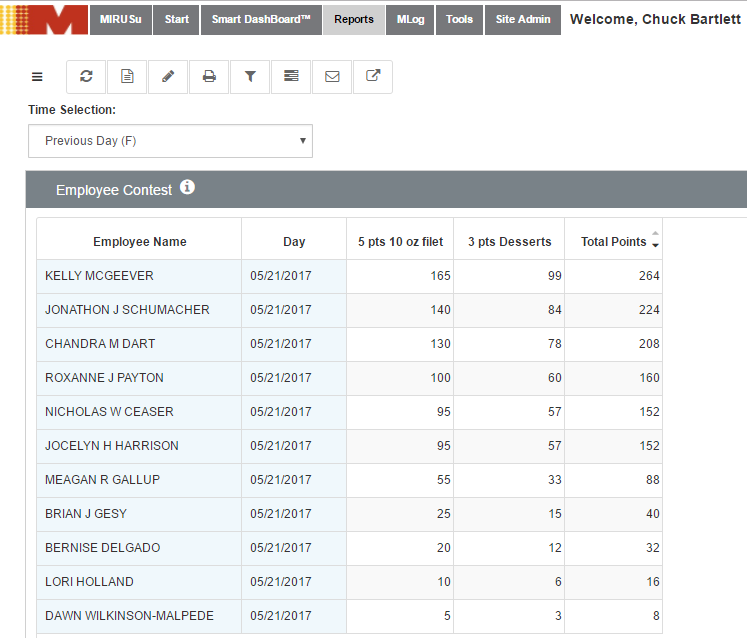 Measure and reward employee attendance by tracking and rewarding those with no call-ins or absences. Measure manager performance for turnover rates and recognize those doing the best job retaining staff. Use Mystery Shopper feedback to identify those employees who are delivering exceptional customer service. 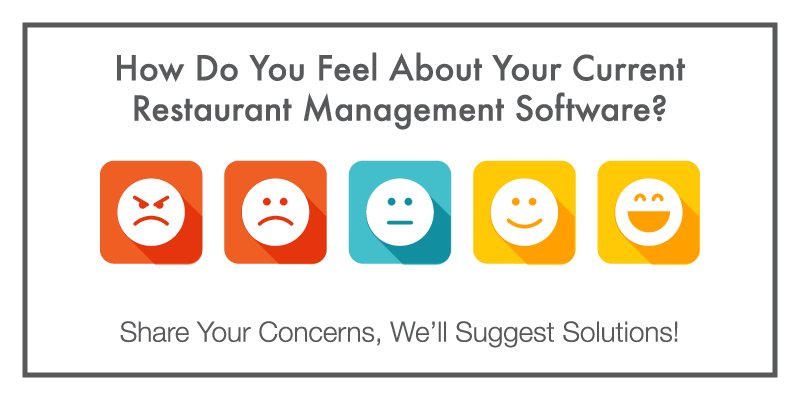 Regardless of what type of contest and rules you choose to pursue, having the right restaurant reporting solution to help you monitor, measure and report on any metrics you’ve selected is crucial to delivering timely feedback that, in turn, will help maximize the motivation of your employees and the success of your contests. 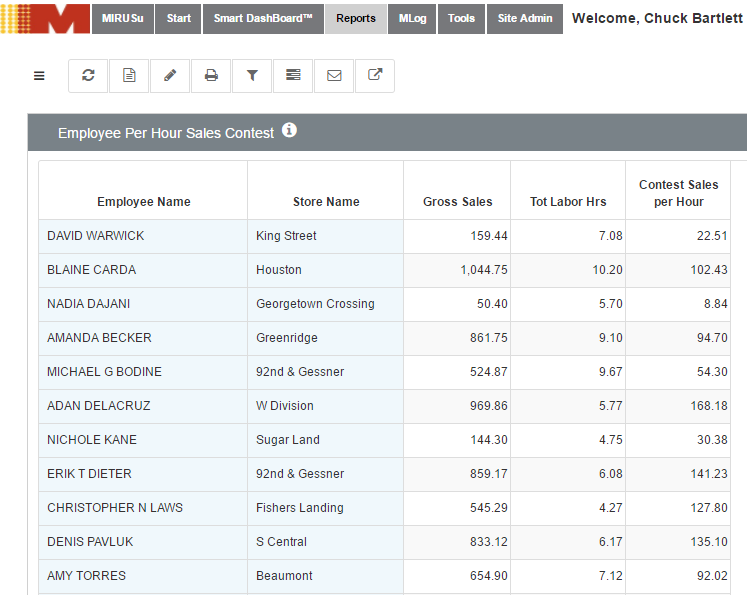 How do you monitor, measure and motivate your servers and cashiers to increase their sales?